The goal of our law firm is to help you solve your legal and business problems in an efficient and cost effective manner. We take the time to listen and understand the facts of the situation, and then do the necessary research and analysis to create viable solutions to meet your objectives. In those matters where litigation is required, we will develop a vigorous prosecution and/or defense to position your case for successful resolution at mediation or trial. We will always give you our candid opinions and explain things we are advising you on so that you will understand the pros and cons of any decision. We believe honesty and candor is vital in developing a solid attorney/client relationship which will best serve your long term legal and business interest. 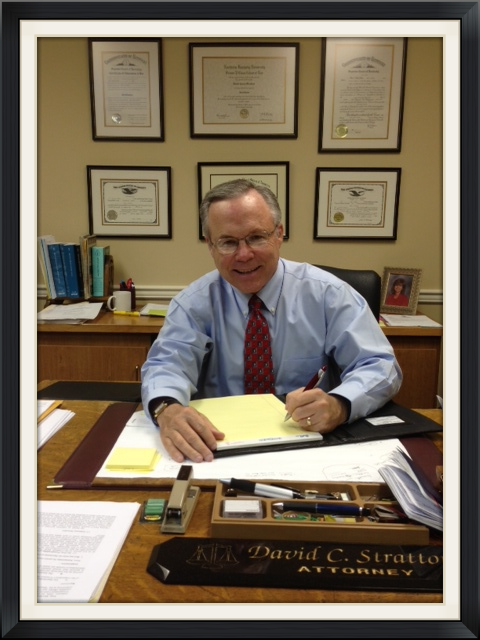 Stratton Law Firm was founded in 1898 by P. B. Stratton, who had various partners during his 55 years in practice. His son, Henry D. Stratton, joined the firm in 1950, and built a statewide reputation for legal excellence. He served as president of the KBA, and was recognized as Kentucky's Outstanding Attorney in 1989. David C. Stratton and Daniel P. Stratton, Henry's sons, now lead the firm, seeking to carry on the family's commitment to legal excellence and professionalism. Our practice covers many different areas. Below is an outline of what we do on a regular basis, but is not meant to exclude areas of work not described below. Business Transactions Because of our business experience we can help you start up a business by creating and maintaining an LLC, a corporation or partnership. We can advise you on which business entity is best for the type of business you seek to form, and how to set up operating agreements for that business. This includes Buy-Sell Agreements, all types of contracts, and business liquidations. 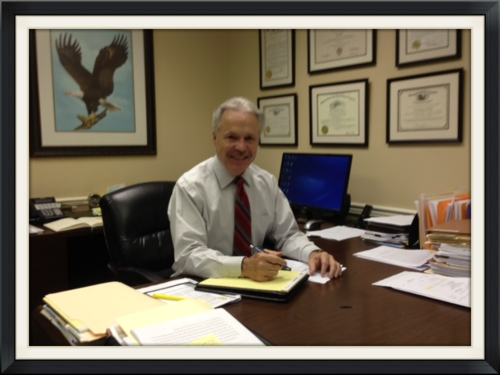 David is an experienced litigator, having tried over 120 cases. 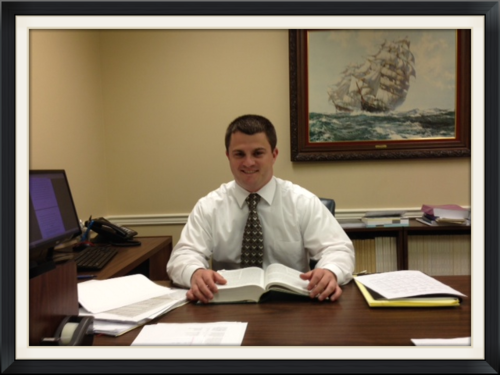 He focuses his practice on insurance defense, commercial litigation, employment law and matters of general litigation. He earned his Bachelors Degree from Eastern Kentucky University in 1975 and his Juris Doctorate Degree from Chase College of Law in 1978. He is admitted to practice before the United States Supreme Court, U.S. Court of Appeals, 6th Circuit; and US District Court for the Eastern District of Kentucky. He has been active within his profession by serving as a member of the Pike County and Kentucky Bar Associations, Board of Governors 1989-1991 and 1996-2002; Chairman House of Delegates, 1992; Member of the Kentucky Defense Council; Defense Research Institute; and Life Fellow of the Kentucky Bar Foundation. Little League; Member of the Pike County Humane Society; several terms as Board Member of the Pikeville United Methodist Church. David is an active cyclist and golfer. He enjoys traveling and spending time with his wife and six dogs. businesses on business planning issues. Dan graduated from Eastern Kentucky University with distinction in 1975, and earned his jurist doctorate degree from Chase College of Law in 1978. He also holds a degree from the University of Wisconsin's Graduate School of Banking. He was awarded a honorary degree from the University of Pikeville in 2012. He is admitted in the United States Supreme Court, the U.S. Court of Appeals 6th Circuit, and the U.S. District Court for the Eastern District of Kentucky, and all Kentucky Courts. In addition to his legal career, he has served as general counsel and president and CEO of the Citizen's Bank of Pikeville. He has been active in professional organizations, and is currently serving as director and officer of the Lawyers Mutual Insurance Company of Kentucky. He is a past president of the Pike County Bar Association, past chairman of the Kentucky Young Lawyers Section, and member of the Kentucky Board of Governors. He is a charter life member of the Kentucky Bar Association Foundation, and as a past director and president of the organization. past president of the Pikeville High School Alumni Foundation and trustee of the Pikeville United Methodist Church. He currently serves as an officer and trustee for the University of Pikeville and he also is an active member in the Pikeville Rotary Club. He has been active in scouting and youth sports programs over the years. Dan is an avid golfer and enjoys racquetball and various fitness activities which helps keep him in shape for playing with his grandchildren. Certificate of Merit in Estate Planning. He was admitted to practice law in the state of Kentucky in May 2013. He is a member of the Kentucky Bar Association and the Young Lawyers Division of the Kentucky Bar Association. He has been active in his community by volunteering at Pike County Central High School as an assistant baseball coach from 2007 - 2009, and from 2012 - present; and has been active in the Pikeville Babe Ruth League. He is also a member of the First Baptist Church in Pikeville, Ky.